With less number of leaves and sluggish economy leading to less pay, young tourists are cutting down on foreign travel. But, guess who is travelling the most? 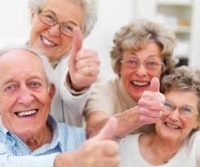 Senior citizens above the age of 65 years. Though, traditionally the silver-crowned people visit religious places like Haridwar and Vaishno Devi for pilgrimage, times have certainly changed. More and more are ditching domestic destinations and travelling abroad. And what are their favourite tourist destinations? Italy and Switzerland. An article in the Economic Times notes, handsome retirement benefits, healthy lifestyle and easy access to travel facilities such as medical and insurance, are encouraging more elders to travel around the world. According to the Ministry of Tourism, out of 15 million outbound travellers from India in 2012, at least 1.3 million were above 60 years of age. While women business travellers, today pegged at 25 percent of the total, are set to rise by 89 percent, elderly travelers are likely to rise to 7.3 million by 2030. So, what is drawing senior citizens to see the world? Early retirement, high disposable income and healthy lifestyle are creating room for more leisure time. Also, they have more time in hand and enjoy luxury holidays, unlike the youngsters who try to fit in short holidays in between their tight work schedules. Customised services offered by travel companies are also wooing many senior citizens. From temple visits on their day of fasts, an accompanying family doctor and like-minded co-passengers and providing them a healthy diet are quite an attraction.